Rare opportunity on Folly Beach to own one the mos - Rare opportunity on Folly Beach to own one the most conveniently situated slips in Sunset Cay Marina. 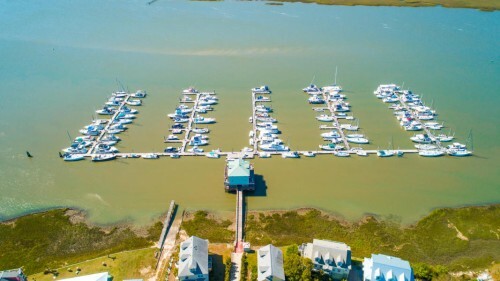 Enjoy long range views of Folly Beach, Kiawah Island, and a sunrise over the ocean from the comfort of your watercraft as well as the warmth of the sunset over the horizon. The slip includes city water and power hook ups. Come and goes with ease! This boat slip has easy in and out access to the inlet and inter-coastal waterway. Low quarterly HOA fees are another huge perk to owning this slip as well as the shop located at the boathouse! Absolutely breathtaking 3 story end luxury townhou - Absolutely breathtaking 3 story end luxury townhouse in the highly desired Bolton's Landing. 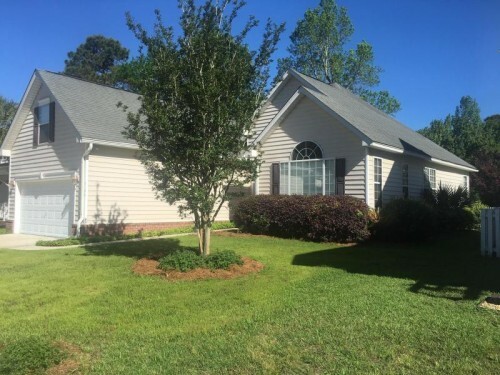 As you step inside this beautiful end unit take notice of the bright and vibrant bonus room adjoined by a coat closet, private half bath, and spacious 2 car garage. 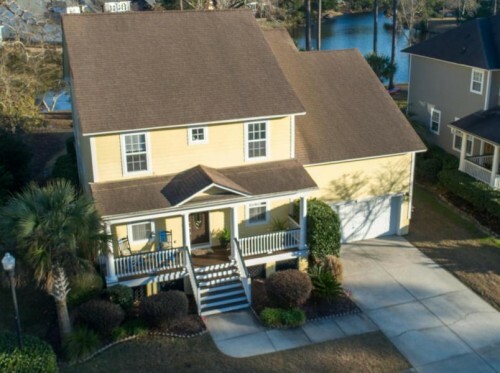 As you make your way to the 2nd floor you are greeted by an meticulously updated gourmet kitchen which opens to your personal screened in back porch. As you make your way through the living take note of the openness and natural light this unique floor plan offers. On the 3rd floor you will be greeted by freshly carpeted and spacious bedrooms, accompanied by their own full bath. The washer/dryer are also conveniently located on this floor, allowing a low maintenance laundry experience. Beautiful all brick home in the highly sought afte - Beautiful all brick home in the highly sought after Saltwood at Planters Pointe. Inside you are greeted by soaring vaulted ceilings and beautiful hardwood floors that flow throughout this spacious home. The expansive living room features a warm and cozy fireplace and is open to the exquisitely updated kitchen. Just off the living room is the master bedroom boasting vaulted ceilings and views of the backyard pond. The master bath features a soaker tub, separate tile shower, dual vanity, and huge walk in closet. Upstairs you will find 4 generously sized bedrooms perfect for a large family. Off the back of the home is the screened in porch, large backyard, and pond. Perfect for a peaceful evening retreat. Amenities include swimming pool, tennis courts, play park and clubhouse. 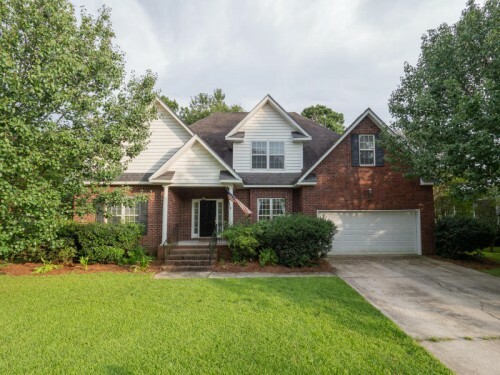 Very Clean All Brick Ranch Home with Huge Updated - Very Clean All Brick Ranch Home with Huge Updated Gourmet Kitchen with Custom Cabinets, Back splash, new smooth top stove and LVT Floors. There is an eat-in area with French Doors that leads to a large deck. There is a Spacious Family Room and 2 other generous-sized bedrooms with ceiling Fans. All rooms have new wood floors, paint and blinds. There is also Central Air and Heat. There is a large laundry room with washer and dryer connections, and cabinets for storage. The Large Fenced Backyard is Fenced is perfect for children and / or dog. There is a large utility shed in the backyard for storage and for a lawn mower. The house is located on a quiet street. 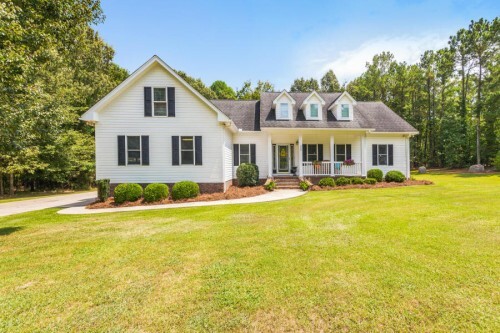 Great schools and just 10 minutes from I-26. Spacious and sunny 3 story end unit townhouse. 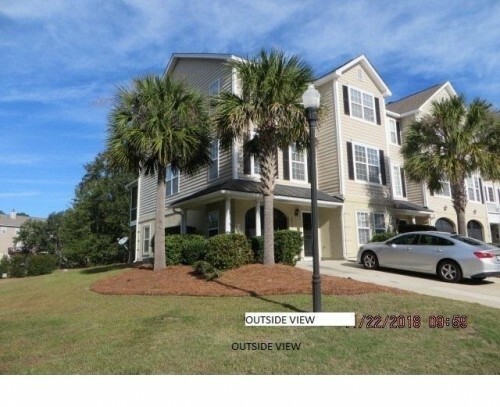 Thi - Spacious and sunny 3 story end unit townhouse. This home boasts 4 bedrooms and dining/media space. Spacious 1 car garage large enough to accommodate 4 cars inside. This home also holds 344 sq. feet of storage space on raised platform in garage. Screened-in porch with beautiful views of large pond surrounded by sidewalk. 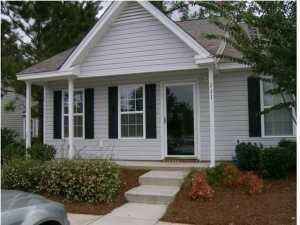 Close proximity to the beach and towncenter. Hamlin Park offers an outdoor pool and clubhouse with workout room. Easy commute downtown and all of Charlestons charming locations. Come see it today! 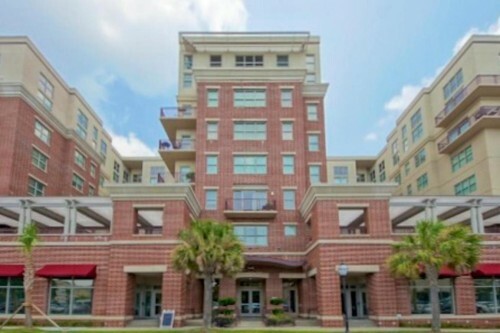 LOCATION, LOCATION, LOCATION, Pristine, updated Lu - LOCATION, LOCATION, LOCATION, Pristine, updated Luxury Loft with dual masters, totally updated, 2020 sf, 2 bedroom, 2.5 bath, Ariel floor plan, gated, secure community with clubroom, exercise facility, and membership to the MUSC Wellness Center, 180,000 square foot facility with indoor swimming pool is available. 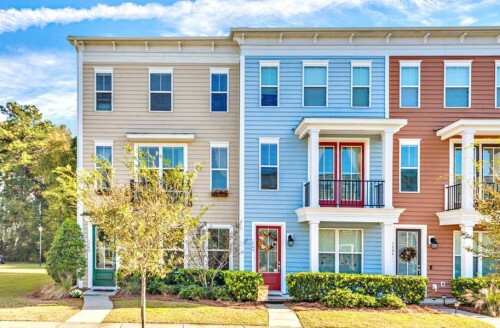 TWO Deeded parking spaces.Bee Street Lofts is located across from Medical University of South Carolina, Veterans Hospital, adjacent to the new WestEdge development featuring shops, restaurants, 24-hour Publix opening soon. Lowest regime fees on the Peninsula. Bee Street Lofts has had 8 closed sales for 2018, making it the hottest affordable Luxury Loft in zip code 29401. Rare opportunity to purchase almost 4 acres of hig - Rare opportunity to purchase almost 4 acres of high and level land that backs up to Hamlin Plantation. Owners have plans for 9 single-family home lots averaging .44 acres. 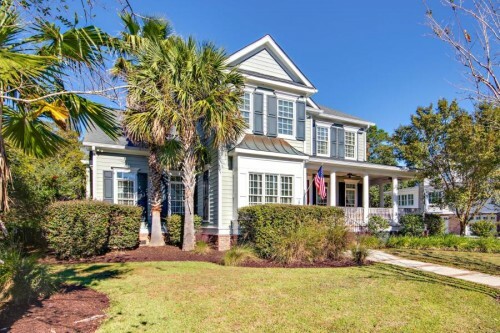 Located towards the end of Boston Grill Rd and less than 10 minutes to Isle of Palms and 5 minutes to Towne Center. Priced to sell. The property is adjacent to a 3.5 acre lot that is also for sale could make for more potential lots for development. 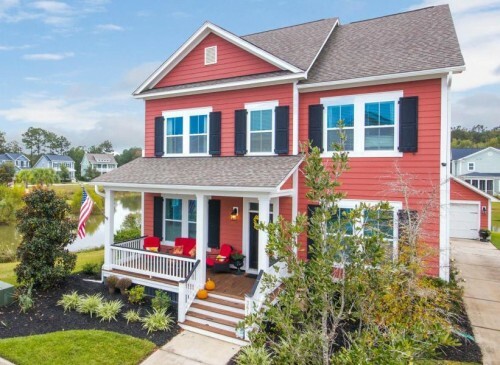 Beautiful 3-story home on a premier site with po - Beautiful 3-story home on a premier site with pond on two sides and only one neighbor! You will be welcomed by a graceful front porch. The Gourmet Kitchen has upgraded custom cabinets, hardwood floors, breakfast bar, butler's pantry, stainless steel appliances, and an eat-in area. The elegant dining room has upgraded lighting, hardwood floors, bead board and crown molding. The spacious family room is open to the kitchen and has a gas fireplace, hardwood floors and crown molding. The large master bedroom is located on the 2nd level and has a tray ceiling, his and her closets, and ceiling fan. The master bathroom has French doors, double vanities, tiled shower with glass door, and a separate water closet. There are 2 other bedrooms on the 2nd floor with 2 bathrooms. Beautiful one-story home with FROG located on a pr - Beautiful one-story home with FROG located on a pristine pond with a fenced back yard. The updated kitchen has granite counters, stainless steel appliances, maple cabinets, and a pantry. The spacious family room has wood floors a vaulted ceiling is open to the kitchen and leads to the patio with views of the pond. There is an elegant dining area with crown molding off the kitchen. The formal living room has wood floors, vaulted ceilings, a Palladium window for much sunlight. The large master bedroom has a tray ceiling, crown molding and ceiling fan with a walk-in closet. The Master bathroom has a double vanity, linen closet, separate shower and garden tub. There are 2 other generously sized bedrooms that share a full bath. The bonus room is over the garage can be the 4th bedroom. Beautiful home on a Private Lot backing up to Wood - Beautiful home on a Private Lot backing up to Woods and Pond. 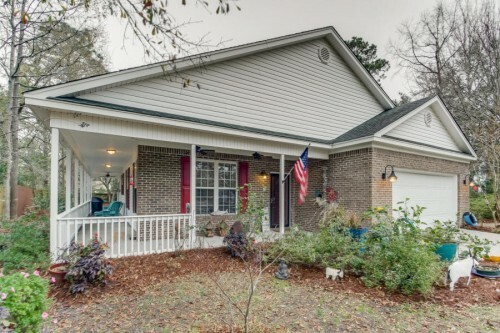 You are greeted by a welcoming wrap-around front porch with a porch swing. There is a large updated kitchen with Stainless Steel Appliances, Granite Counters, Tiled Back Splash, Tile Floors and Eat-in Area. 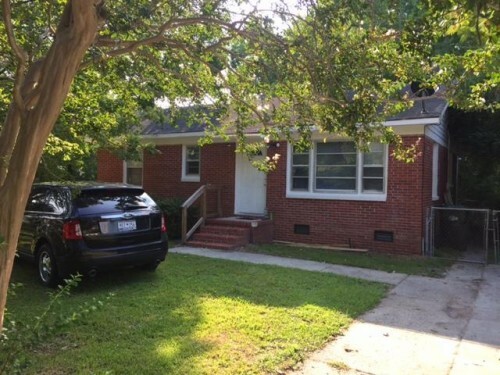 The Spacious Family Room has a Fireplace, Crown Molding wood Floors and is Open to the Kitchen. There is am Elegant Dining Room with French Doors, Tray Ceiling, and Wood Floors. There is also also a half downstairs. The large Master Bedroom is located on the 2nd level and features a tray ceiling, Ceiling Fan, and Walk-in Closet. The Master Bathroom has separate vanities,and separate shower. There are 2 other generous sized bedrooms that share a full bath. Laundry Room Upstairs. 2 car garage in back of the house. Beautiful custom home on peaceful pond in Park Wes - Beautiful custom home on peaceful pond in Park West, located in the desirable Tennyson subsection, with many mature trees and large lots. 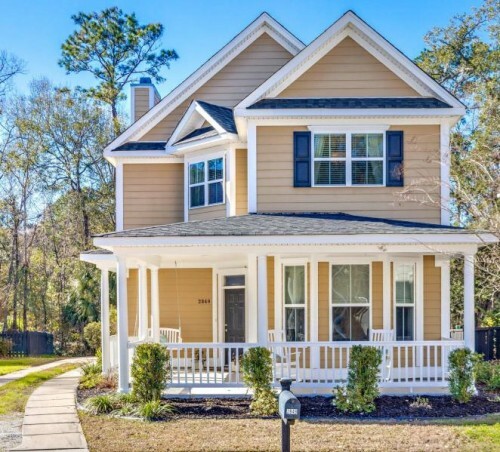 This home has a gorgeous wrap around front porch, professional landscaping, and a large fenced backyard that offers much privacy. The gourmet kitchen includes stainless steel appliances, gas cook-top, granite counters and kitchen island, breakfast bar, Bosch dishwasher, warming drawer, built in desk, large pantry, and an eat in area. The spacious two-story family room has several large windows which offers an abundance of sunlight. It also has a gas fire place, hardwood floors, crown molding and a french door which leads out to the back patio. The elegant dining room has upgraded lighting, wainscoting, tray ceiling and hardwood floors.